Big news – people still meet in person. Have you forgotten that? 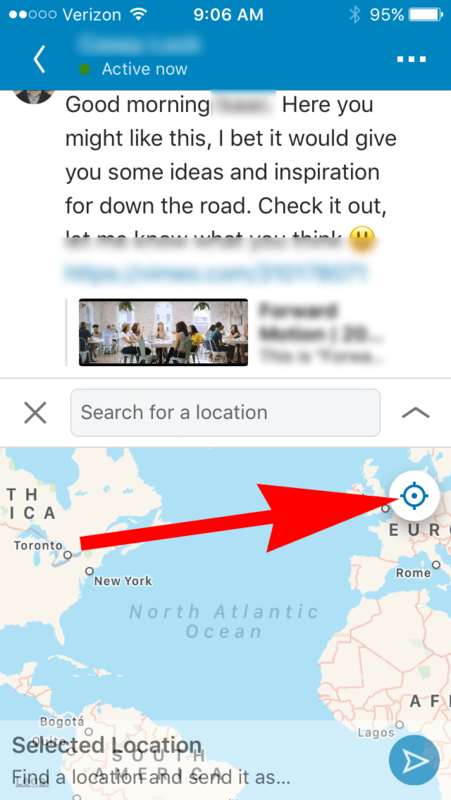 Linkedin’s newest mobile feature (location sharing) is meant to facilitate local meet ups. 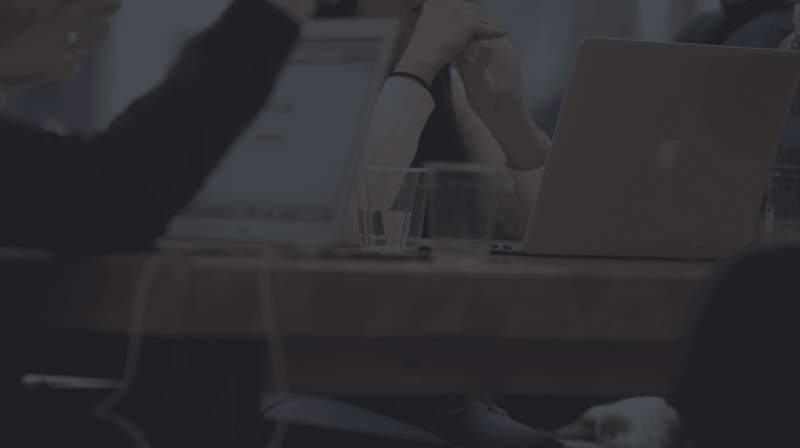 It’s a natural progression of improving the efficiency of local business networking – and keeping users on its platform. 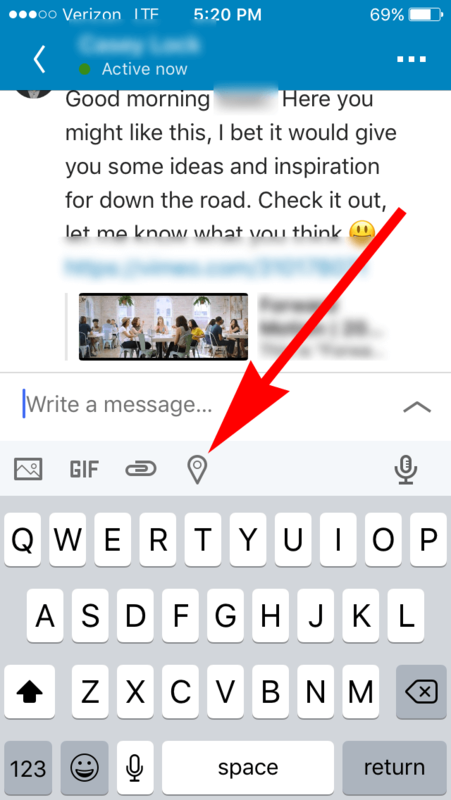 Let’s talk about Linkedin’s endgame and how to use this new feature. Facebook is fun, Linkedin is business. Adding features like location sharing, voice messaging, text, etc – Linkedin is simply consolidating business communication, which directly affects the income of companies and individuals. Communication is a business utility. Even more, communication is wealth. As increased numbers of people use, and more importantly depend on, Linkedin for business communication the higher Linkedin’s revenues will be. More active users means more paid accounts, more advertising, more job postings, more recruiting, and the list goes on. I’m surprised a map integration took this long to come around. 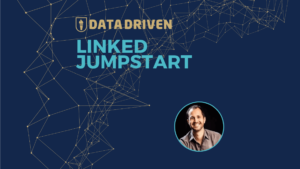 I expect Linkedin to make further improvements on things like local meet ups, events, job postings, and suggested connections. If you run a local networking group don’t feel threatened that Linkedin is taking your local market share. Instead, embrace the inevitable and use this to your advantage. More on that another time. 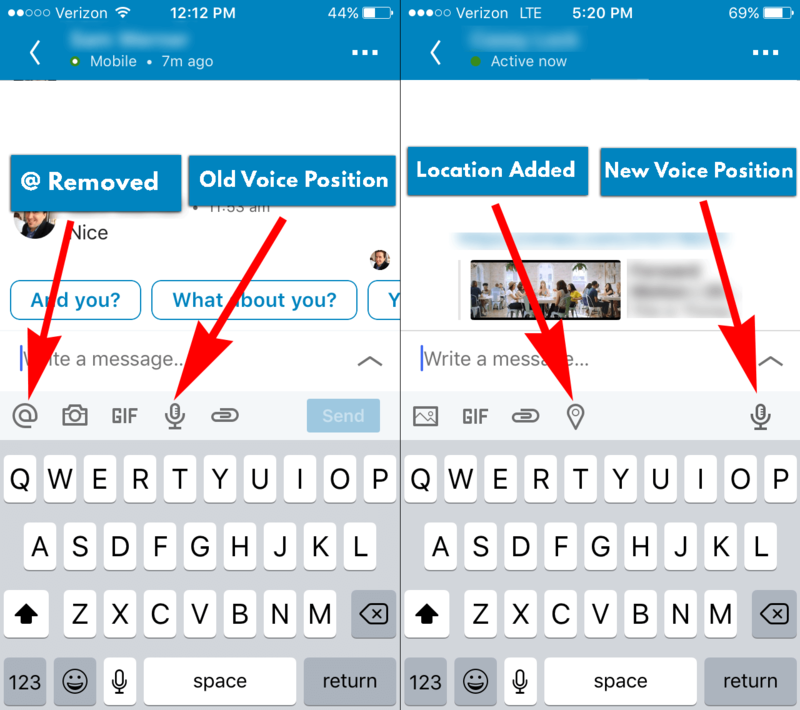 Quick note – this is currently only available through Linkedin’s mobile app. You will not see this in your browser. 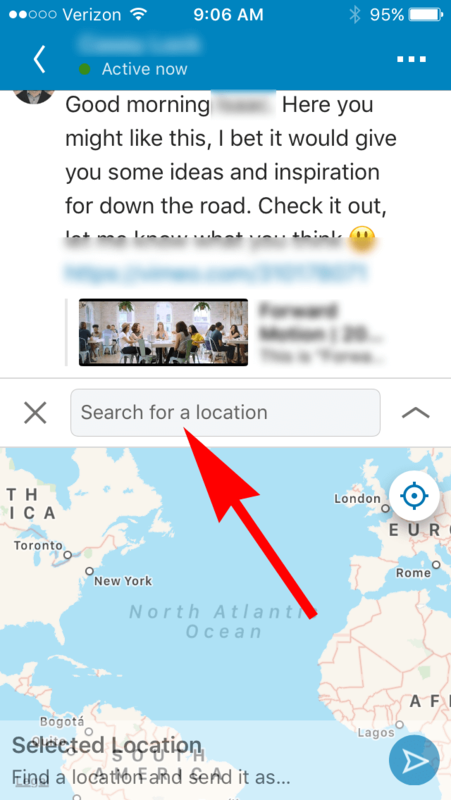 You’ll be prompted to type a location into the “search for a location” field (we’ll discuss sharing GPS location in a moment). Type your location and choose from options. 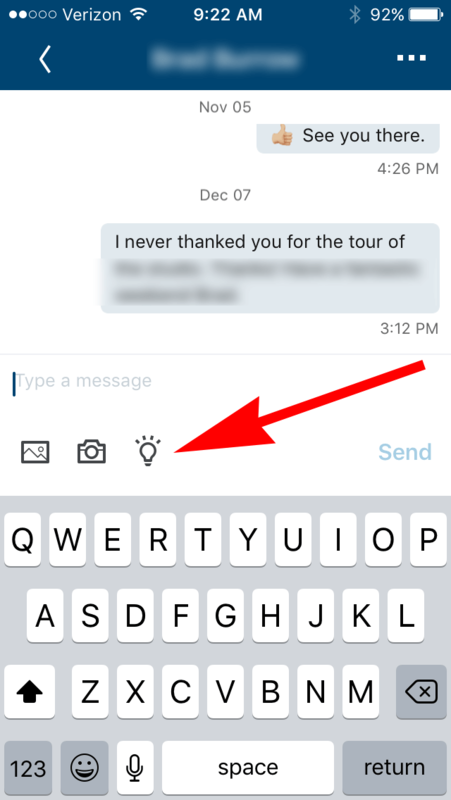 A pin will drop when you select a location. Sometimes a map location is too broad. Or, maybe you’re having a secret meeting in the middle of the woods. 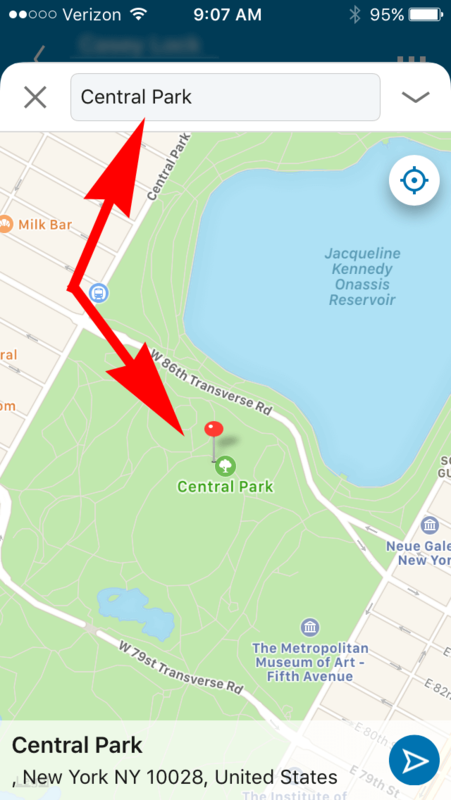 Click the GPS icon near the top right of your map. You will need to enable your device’s GPS to share your exact location. A pin will drop at your exact location, allowing the recipient to go exactly where you are. 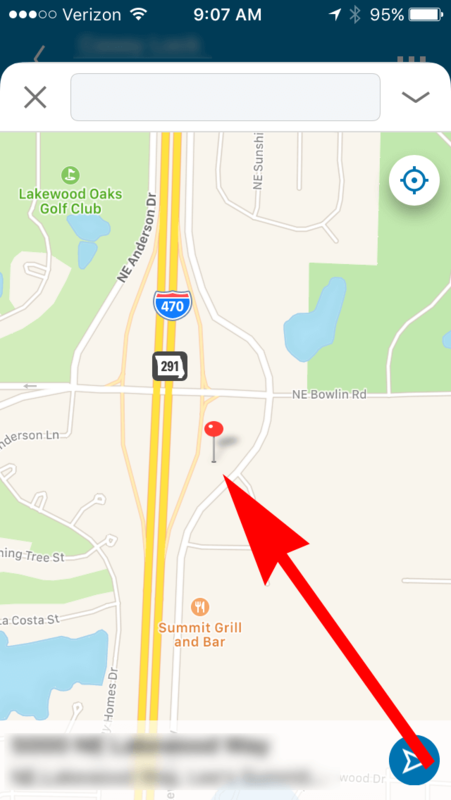 For advanced users – Location sharing is NOT available on the Sales Navigator App, though I expect it will be eventually. Now you don’t have to get a connection’s phone number just to text them your location when you’re meeting in person. You can keep it all on Linkedin, which makes things a whole lot easier.